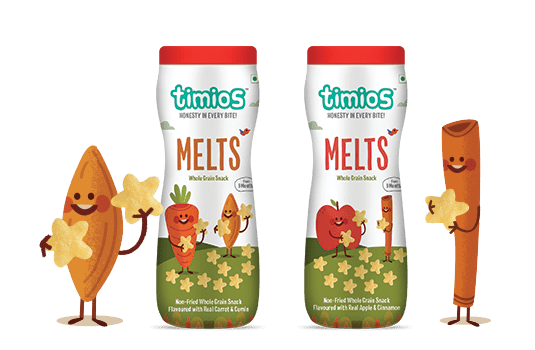 A 100% Natural & Healthy snack for kids. Yummy, crunchy and melt-in-the-mouth delicious. 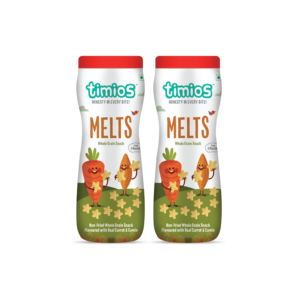 Timios Melts are made from the choicest multi-grains, naturally dried fruit or vegetable with a slight touch of mild natural flavouring. 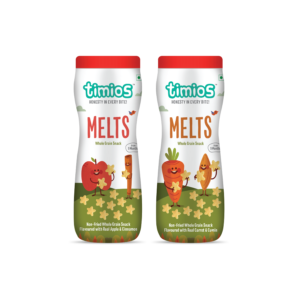 Perfect finger food for toddlers to keep them busy.